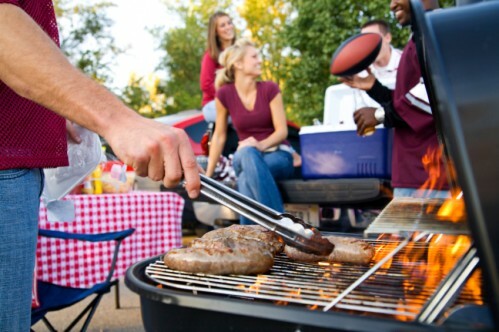 Memorial Day weekend is approaching, and while cookouts and picnics can be fun for the whole family, those of us with arthritis may have to take some extra precautions. Opt for dragging a cooler on wheels instead of carrying a big, heavy traditional cooler. Use disposable (preferably recyclable!) paper plates, “silverware”, etc. so that you have less dishes to do when you get home — your hands will thank you! Bring a chair! 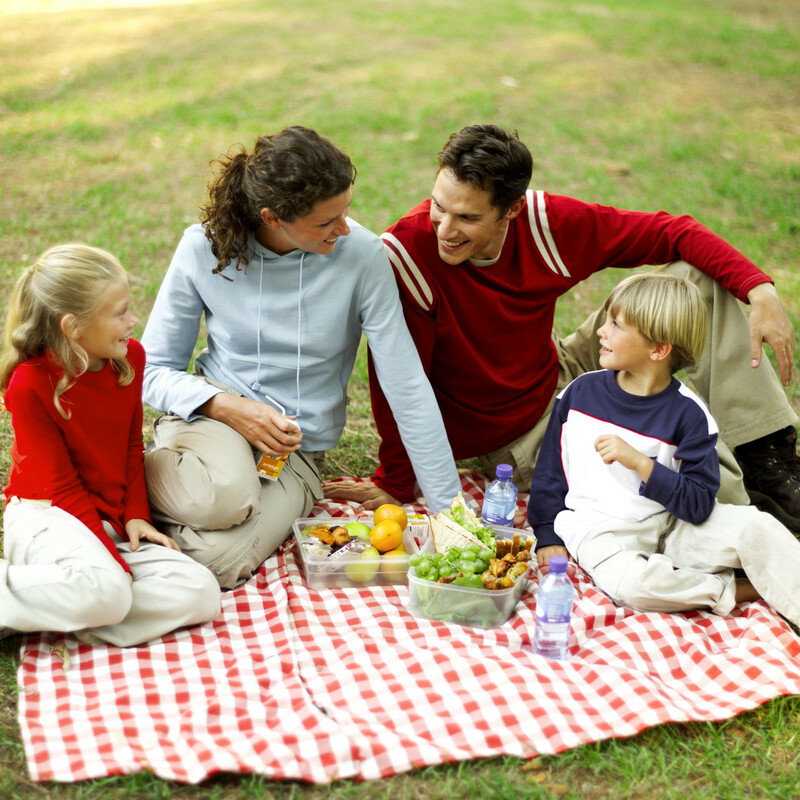 Sitting on the ground is fun for a picnic, but may not be the best idea for arthritis sufferers. Choose a comfortable, portable chair instead. Wear comfortable shoes! Ladies: while wedge sandals and espadrilles are super cute for spring and summer, if you’re attending a picnic or a cook out, you’ll want something more sensitive and comfortable on your feet. And for guys and girls alike, flip-flops are fun, but if you’re going to wear them, choose a pair that is very comfortable and supportive, if possible. When cooking out on a grill, choose ergonomic grilling tools. If tending to a garden to prepare for your picnic or party, use ergonomic or arthritis-friendly gardening tools, and a gardening bench instead of squatting on the ground. Drink lots of water! Hydration is so very important for so many different health issues. Choose anti-inflammatory foods such as salmon, blueberries, almonds, and other foods that are high in Omega-3s. Add ginger or turmeric to your marinade or add some beets to your salad. Garlic is good, too! Soak up the sun … in moderation, of course. By exposing yourself to sunshine, Vitamin D can be better absorbed, building healthy bones. But, don’t overdo it! Shade and sunscreen are your friends! Additionally, if you are on a medication that says to avoid sun exposure…avoid it! Go for a swim! ‘Tis the season….and swimming/water aerobics/aqua exercise is a great, low-impact activity for arthritis patients to enjoy. Rest! Long weekends and holiday weekends such as Memorial Day can lend us to get burnt out on one activity after another, so be sure to balance your fun with proper rest! Most of all….enjoy! Take a camera along to capture these special memories with family and friends, and allow yourself to get your mind off of being sick. A special “thank you” goes out, too, to all who have served or who currently serve our country. Parades and pools, burgers and bonfires aside, that is what Memorial Day is truly about. Tags: Anti Inflammatory Foods, Arthritis Ashley, Arthritis Blog, Arthritis Foundation, Arthritis Tips, Ashley Boynes-Shuck, autoimmune arthritis, back pain, Chronic Illness, chronic pain, Cook Out, Cooking with Arthritis, Cookout, Disability, Ergonomic, Family Fun, Family Time, fibro, fibromyalgia, food, Fun, Fun with Arthritis, Gardening, Grandkids, Grilling, Health, Holiday, Human Body, inflammation, Juvenile Arthritis, living with arthritis, Long Weekend, Memorial Day, Memorial Day 2012, Memories, Mid Atlantic AF, Mid Atlantic Arthritis Foundation, Mid Atlantic Region, OA, Osteoarthritis, Outdoors, Picnic, Planning a Cookout, Planning a Picnic, RA, Rheum, rheumatic disease, rheumatism, Rheumatoid Arth, Rheumatoid Arthritis, rheumatoid arthritis disease, Spoonie, Spoonies, Spring, summer, Wellness. Bookmark the permalink.